Bedrock Mod 1.12.2 is based on mcreator to craft a new bedrock block so that people cant mine out of the world. Only mining the new block with a bedrock pickaxe or grubaxe and require some diamond handles to make the tools. The bedrock tools have infinite durability but not much faster than diamond. The bedrock armour breaks down but exceedingly slowly. 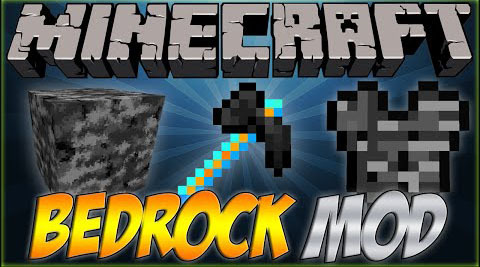 Download the Bedrock Mod from link below.